Our 2018 Grant Recipients made a tremendous impact on our communities. We are proud of their success and delighted to have been a part of these inspiring initiatives. As a result of their work, over 4,000 local residents were positively impacted. The programs funded were centered around community education, art, music and resident well-being. Liberty Bailey Hyde launched its inaugural conference. Over 160 people attended to learn about Bailey’s life, work, philosophy and legacy. Keynote Speaker Douglas Tallamy, College of Agriculture & Natural Resources at the University of Delaware – Professor of Entomology, environmentalist, conservationist, preservationist and author of more than 80 books spoke along with 13 additional speakers, well-known in the environmental field. Foundry Hall and the City of South Haven produced 13 concerts for the Riverfront Concert Series. Hundreds of people attended each show, with more kids and families in attendance than ever before. The 2018 schedule showcased a variety of musical performances from country to jazz, oldies, world music and reggae, employing highly talented regional and local musicians. Over 120 area youth learned the basics of sailing and boating & water safety, paramount skills needed while living in our community. Nearly a third of the kids were awarded scholarships granted by the Greater South Haven Area Community Foundation. Foundry Hall, in partnership with South Haven Public Schools, produced a music workshop with professional saxophonist, Derek Brown, for all South Haven High School band and jazz band students. In addition, the professional saxophonist performed a special concert, accompanied by the students, to a full auditorium. Junior Achievement offered six programs within the SHPS District, teaching 130 k-3 students work readiness, financial literacy, entrepreneurship and successful financial habits, empowering them to own their economic success. 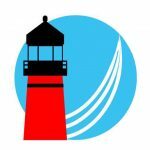 The Michigan Maritime Museum launched its first-ever Maritime Music Concert Series as a compliment to the museum’s successful lecture series. The concert series enabled the museum to present maritime history and culture in a fun and different medium, reaching a new audience. Al-Van provided South Haven residents a low cost ($10) spay neuter clinic. Spay/neuter clinics have a tremendous impact on the stray overpopulation. This low cost program directly impacts the number of unwanted stray animals in our community. This year 43 cats were altered, almost twice the number done last year. Nearly 1,000 people attended the five South Haven Performance Series. Performers came from all over the world and included Grammy award winning flutist, Rhonda Larson with Ventus, Wei Lo, pianist – Gilmore International Piano Competition Young Artist, Rhea Olivacce -Soprano, Western Michigan University, Ikuyo Nakamichi, Japanese Pianist and former South Haven resident and MEME (Michigan Educators Male Ensemble) – chorale, Michigan. The 2018 programs were a great success for the Foundation, our grantees and most importantly, our communities. 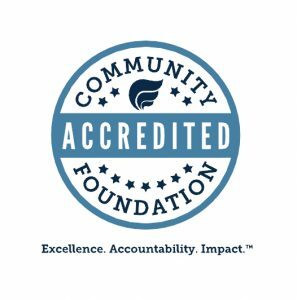 We look forward to seeing the great community contributions our 2019 recipients will be able to accomplish with the funds they receive from the GSHACF!